Routines are broadcast live on social media, adjudicated and results posted online. The top five (5) routines qualify and are re-broadcast and ranked by adjudicators. Before the winner is announced, adjudicators will provide live commentary. 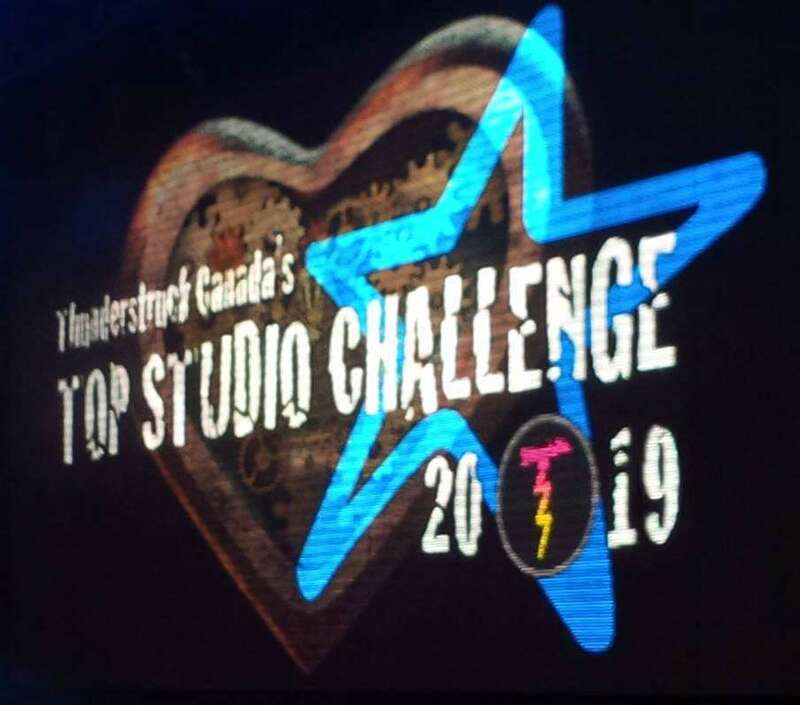 Top Studio Challenge is going online. New and innovative approach that will make it accessible and super fun. Performances will be broadcast live social media and adjudicated by our panel. The top five (5) routines from each section will qualify for the Battle of The Stars. The Battle will commence after all the qualification rounds are complete. In the battle, we add an adjudicator and they'll provide live commentary before declaring the winner. Routines from across our regionals will have a chance to compete online in a season-ending Battle. We have your video, so registration is easy, more straightforward than you may think. We also have your routine details, from the online registration, you can import your routines into the Top Studio Challenge registration. Registration is based on a dancer fee, no routine fees so not only is there no travel, accommodations, meals, the actual entry fees are very affordable. Dancers are limited to a single solo, additional solos can be included with an add-on fee. All registered routines will complete online. Broadcast online via social media; adjudicators will score each performance. We will recognise the Top Five (5); each will get recognition with a social media card posted to social media and studio to save and share with friends and family. For Solos, and Duo/Trios, the Top Five (5) routines will move on to the Battle. For groups, the top five (5) routines qualify from each studio will move to form the Top Five (5) for the group battles. Studios can have more than one qualifier in the Group Battles provided the 75 percent of dancers in the routine are different. The adjudicators will rank all five (5) routines, provide live commentary on the performances before announcing the winner. The winning routines will be featured on the program cover the following year, we'll publish social media card, one of our fantastic gift cards. The Top Studio will be calculated using the same factored point system employed for regionals (see Top Studio Calculation page for more info). Similar to the pursuit of the individual and group accolades recognised from the Battle, we will assign points for each routine that battles, based on its ranking. The points for Solos and Duo/Trios and the points for Groups are different; please see below. If you did not compete at a regional, we'd need your video and be in touch. There are a couple of simple rules to this. First, to protect studios, choreographers, and dancers we do no accept Independent entries for Top Studio that did not compete at a regional. New studios that wish to compete in this online event will need to provide the video and abide by the Video Rules. If you competed at a Thunderstruck Canada regional but have a different video that you would prefer to use, or it is a new entry, the following applies. First, you must have the rights to use that video in an online contest. Second, it must be from a staged event, no studio recordings. Finally, it needs to be a routine danced and recorded this year. The adjudication team for Top Studio Challenge Online Battle will be doing a mix of things from adjudicating the competition, providing master classes at our summer camp to taking turns answering questions on our social media channels. They will way in on the favourite Flash Mob, also online, which will be taught at each Regional as well as cut the master version that we will unveil to start the final round of the Battle.